Preparations for Banana Cream Pie begin the night before to give the custard time to cool before topping with Whipped Cream. When custard is lukewarm, slice bananas and add to the mixture. Stir to coat slices with custard. Pour mixture into the baked pie crust. 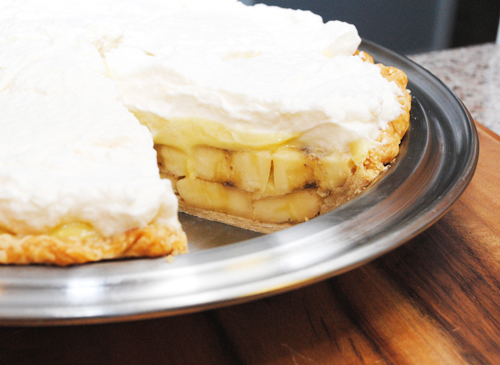 When pie is chilled, remove plastic wrap and top with Whipped Cream. Return pie to refrigerator until ready to serve. Slice and serve cold.